This study focuses on the relationship of transformational leadership characteristics in teacher educators and their multicultural education practices as an avenue to prepare and produce more teachers for the increasingly diverse P-12 student population in the 21st century. The more transformational leadership characteristics teacher educators possess, the more multicultural education practices are carried out by them towards producing and transforming teachers to carry out the same characteristics and practices in their classroom. Examples in this study illustrate the importance of the relationship in the teacher educator/teacher-student cycle. Overall, the research findings support that there is a relationship between teacher educators' transformational leadership characteristics and multicultural education practices. Finally, this study highlights the need to provide professional development for teacher educators to enhance their transformational leadership characteristics as well as their multicultural education practices. Teacher educators often find themselves taking on an intentional leadership role by serving as models to prepare preservice teachers in providing successful student achievement outcomes for all children. 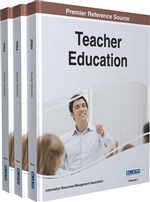 Many teacher educators implement their own teaching characteristics and teaching styles from their P-12 teaching experiences into their own university classroom settings to prepare future teachers across America. Gay (2002) suggests teacher educators’ knowledge, attitude, and skills may aid in the transformation of their practices in preservice teachers. These characteristics are transferred to preservice teachers’ own knowledge, attitude, and skills which inevitably create a diverse impact in P-12 schools across the nation. This impact is worthy enough that it has created the need to begin examining what characteristics influence teacher educators. Delpit (1992) suggests it is vital for teacher educators to explore their own practices and processes in multicultural education in order to gain insight and be able to prepare preservice teachers for diverse populations and issues within diversity. Scholars and governmental representatives suggest teacher education programs must acknowledge that their role must be tweaked and changed to increase the preparation of more and better teachers in order to address growing diverse student population (Bowles, 2010; Duncan, 2010; Wheelan, 2010). While Bandura (1986) states such factors as knowledge, attitude, and skills alone cannot determine ones behaviors towards an outcome, he suggests educators must also have a sense of efficacy. When teacher educators implement practices they find to be effective in their own university classroom setting, they are more likely to be effective in encouraging their preservice teachers to implement the same practices. In other words, practices that display the knowledge, skills, and attitudes of multicultural education can lead to the transformation of preservice teachers resulting in practicing similar knowledge, skills and attitudes for the better good. The role of teacher educators in promoting advocacy and multicultural education among preservice teachers is critical. This study provides an examination and indication of the multicultural education practices implemented and influenced by transformational leadership through the role of teacher educators at a small university.